The Da Cicco Trattoria and Pizzeria opened its doors in Moscow in 1999 and has since never looked backed. It has proved to be a popular restaurant with Italians residing in the Russian capital and for good reason. The Italians know their food and so Da Cicco’s success can only be boiled down to their delicious dishes. 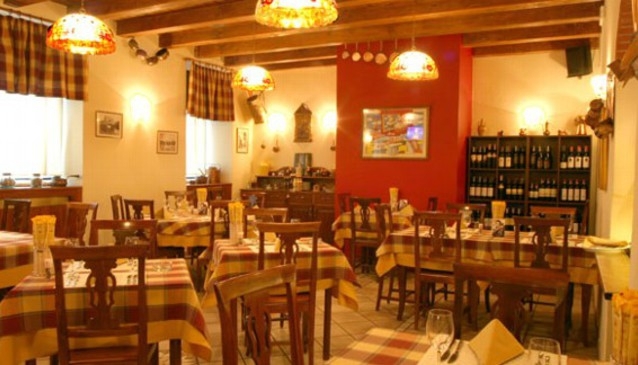 As always, a healthy mix of a cosy and friendly atmosphere, service with a smile and a good glass of Italian house wine go a long way to keep Da Pippo Trattoria regulars coming for more. Signora Antonella Rebuzzi is always at hand to make sure that this family run restaurant always lives up to its jovial surroundings and personal service. Personalities such as Al Bano, Toto Cutugno and Demis Russos have been and recommend this little slice of Italy in Moscow. With a delicious thin crust pizza the Italian way and some genuinely fresh toppings, it is no wonder why. Another example of a speciality of the restaurant is a healthy foil wrapped fillet of sea bream with cepe mushrooms. Da Cicco is located in Profsoyuznaya street, not far from the Profsoyuznaya and Akademicheskaya metro stations. All the major credit cards are accepted and considering its popularity it is definitely recommended to reserve a table.